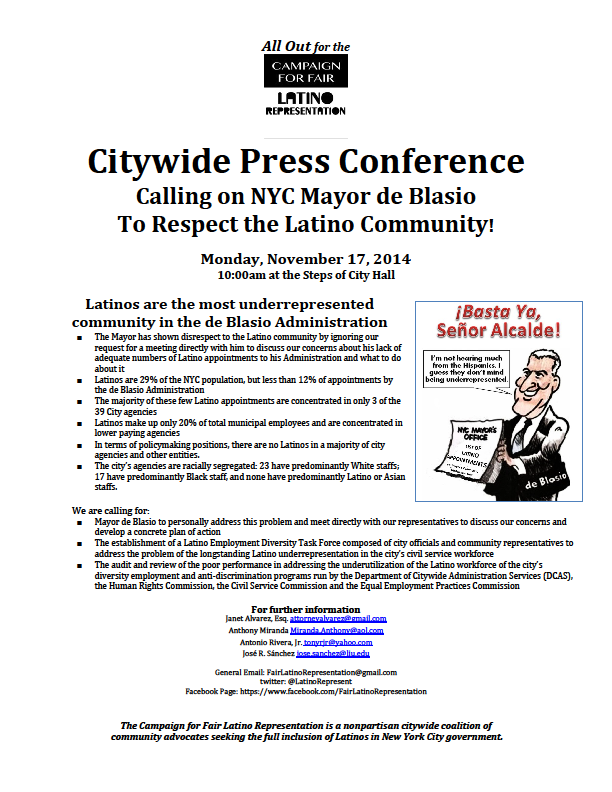 Calling on NYC Mayor de Blasio to Respect the Latino Community! The National Latino Officers Association is requesting support from members, family, friends and community residents to attend this crucial citywide press conference. We are calling on NYC Mayor de Blasio to respect the Latino Community, as we are the most underrepresented community in the de Blasio Administration.